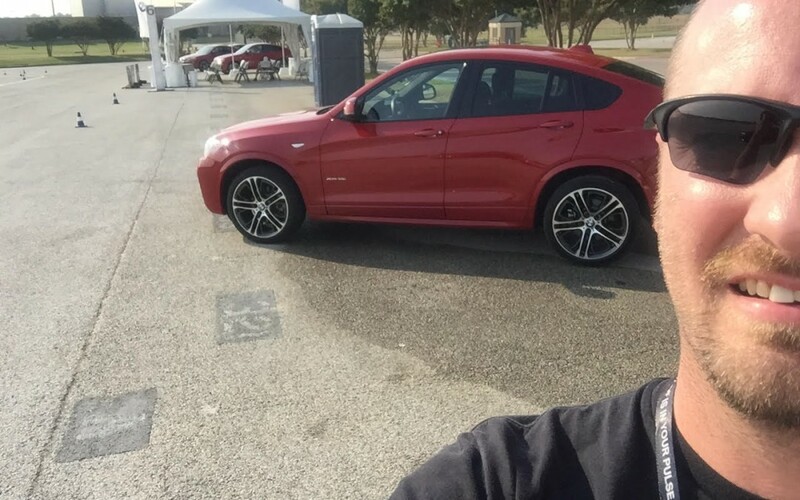 So earlier this month, I had an amazing opportunity to go to the BMW Ultimate Driving Experience. It was just that – an amazing driving experience. This thinking really started with a book I just finished by Kelly McGonigal called The Upside of Stress: Why Stress is Good For You and How to Get Good At It. It was amazing and I highly recommend it, I was even able to take one of the principals she talked about and share it with some teen-aged parents we are working with. Here is the idea, if we choose to see stress as positive (because we will always have stress in our life), it literally changes the responses from our bodies and minds. For example, when we get to the end of a day and feel tired (and who doesn’t), we have a choice. Until hearing this, I simply believed I was just always tired and drained. But what Kelly suggested is that being tired indicates you have expended all of the energy you have to accomplish the tasks you needed to today. This is HUGE! If I see being tired as evidence I have worked hard and accomplished much, it changes everything. Rather then being frustrated by detours, traffic or even traffic lights (maybe I’m the only one here), I see this as an extended opportunity to listen to a PodCast, audio book, or nothing – allowing me to learn or focus my thoughts, preparing for what I will encounter when I arrive at my destination. Exercise – this is a tough one. I in no way want to justify my lack of exercise, but I also am at a stage in life where I am using my energy in other ways and getting up early any day (or staying up late enough) to run or Crossfit just isn’t happening. So, hearing Kelly Mcgonigal talk about a study published by Psycological Science on how fit hotel housekeepers are was a huge help. I see the energy I burn chasing my kids, cleaning the house, mowing the lawn as my exercise. But here’s the important part, this belief has as much impact on my physical health as the actual activity itself. Crazy, right? How I spend my time is huge at work too. This goes beyond belief because I do need to make sure that what I am doing is adding value to the work we do. But one struggle I have had is seeing reading as valuable. Well as Michael Hyatt has often quoted, leaders are readers and readers are leaders. Once I started actually believing this, I have found myself reading more (or in my case listening). I have kept an Audible subscription now for almost a year. The money I have spent on this is way more valuable then a cable bill or just about anything else I can think of, honestly. I left out one detail about the teen parents I mentioned above. As we ended our group, I asked what they felt the most meaningful part of group was today. They all said it was being introduced to the idea that their beliefs about life matter. Specifically, we had talked about seeing being tired as evidence you have used all your energy for what you needed to do and it is time to rest. I hope to hear from you about ways you start to use this “believing is meaningful” attitude. Share it with us, but more importantly share it with those right around you.